Someone might think that they are safe approaching a human/deer hybrid from behind. They might whisper, "There's no way they can see me!" Well, anyone thinking that would be dangerously wrong. They have a 300-degree field of vision and can see the rest of it with barely a shrug. 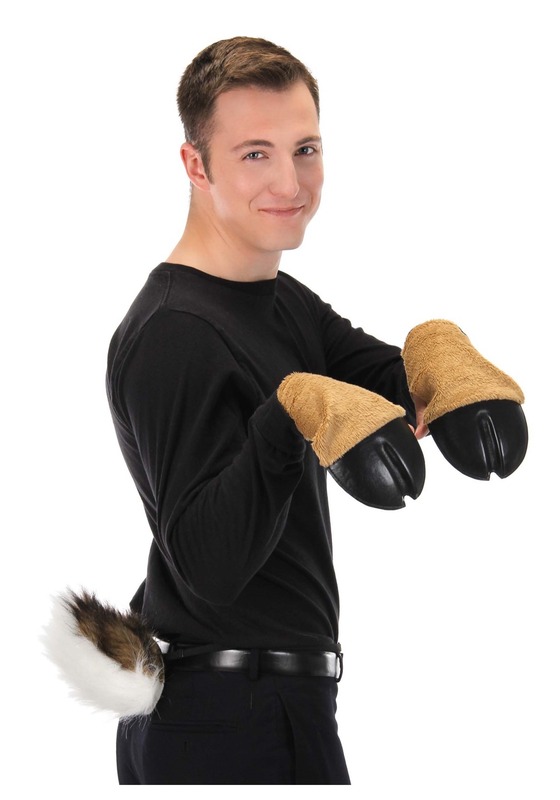 So, when the woods have become slightly more deadly because of the spread of Elafothropy (the curse that causes weredeer to prowl our lands), folks need to know that hiding behind a tail is no form of protection! Of course, if you have already become one of the majestic weredeer, all you can do is make sure that you're looking as proud and tall as you deserve. This Deluxe Deer Tail is a surefire way to show those other hybrids that you're the real deal. This furry puffy brown and white cottontail will put everyone at ease, think you're adorable, while you decide just how carnivorous you feel! Everyone assumes that just because a woodland creature is cute and typically dines on leaves and berries that everything is perfectly safe when the moon comes out and we've suddenly got a werebeast version. Well, let them think just what they will when you wiggle this Deer Tail their way. They'll be all yours when you go in for the kill!